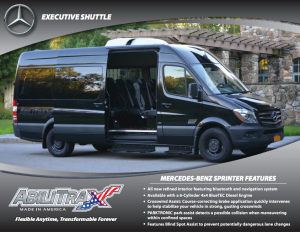 We are proud to offer the American-Made ABILITRAX Flexible Flooring System. 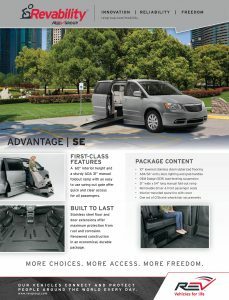 This unique floor design allows your vehicles the capability to change as quickly as your needs do. 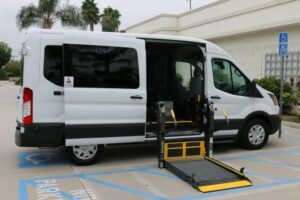 Changing from ALL WHEELCHAIRS to FULLY SEATED or anywhere in between is quick and easy, without the need for tools. 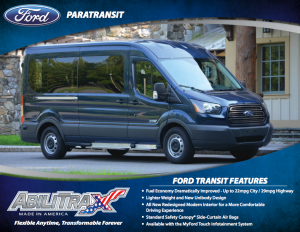 Complex enough for large para-transit fleets and simple enough for everyday trips, the ABILITRAX Flexible Flooring System makes the day to day operation easy and efficient. 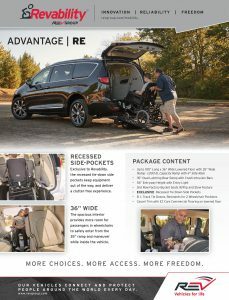 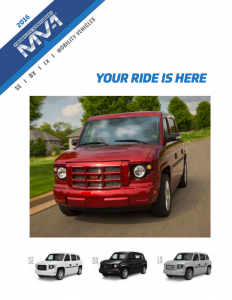 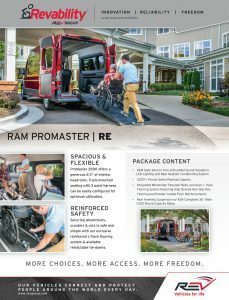 The MV-1 is the first mobility vehicle that was designed from the ground up for wheelchair accessibility and is proudly built in America. 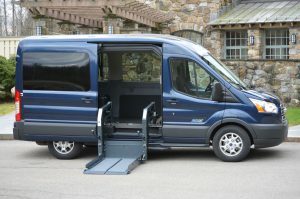 The MV-1 comes equipped with a deployable integrated ramp for quick and easy passenger access, and has a spacious interior that can accommodate up to six occupants, with the optional jumpseat. 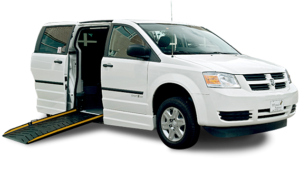 The MV-1 is the only factory-built vehicle that meets or exceeds the guidelines of the Americans with Disabilities Act (ADA). 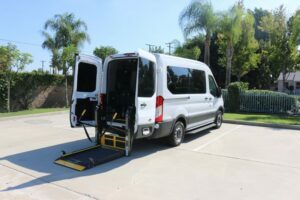 Sunset Vans is proud to introduce the all new Ford Transit ADA Wheelchair Van to the commercial transportation market. 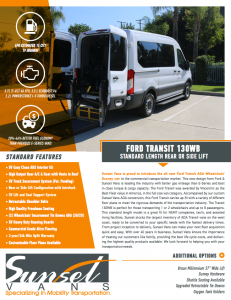 This new design from Ford & Sunset Vans is leading the industry with better gas mileage than E-Series and best in class torque & cargo capacity. 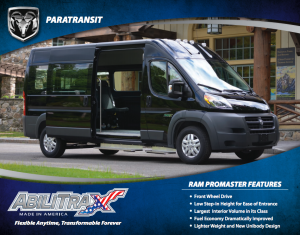 The Transit is perfect for those transporting 1 to 4 wheelchairs and/or up to 12 passengers. 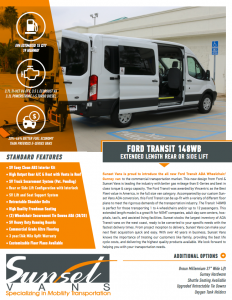 From project inception to delivery, Sunset Vans can make your next fleet acquisition quick and easy.